AN NGO WITH INTERESTS IN HEALTH, HUMAN RESOURCE DEVELOPMENT/CAPACITY BUILDING, RESEARCH, BUSINESS CONSULTANCY, INFORMATION AND LOGISTICS (IN PARTNERSHIP WITH SOME INT’L BODIES) IS CURRENTLY RECRUITING. PASSIONATE APPEAL: DRIVEN BY OUR DESIRE TO COMBAT THE BITING UNEMPLOYMENT AND HIGH POVERTY LEVEL IN THE COUNTRY, WE APPEAL TO THE UNEMPLOYED/UNDEREMPLOYED YOUTHS AND ADULTS TO GRAB THIS LIFE CHANGING OPPORTUNITY. The NGO is actually into training up coming entrepreneurs in the area of research, human logistics/development, health maintenance and sustenance. Make use of every good opportunity thrown at you. 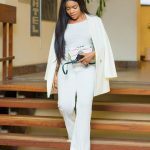 LAURA IKEJI “UPS” HER STYLE GAME! ok. i have done all of that. still not showing full green padlock. seeing Yellow padlock. Still showing the yellow padlock.